Well it’s official! The holidays are just about here! It’s time to put on your party hats and start planning your holiday party. I am here to help!! I started a Holiday Entertaining Pintrest board to help you get ideas for table design, decorating and recipes. I searched Pintrest and found some of the most fabulous fun ideas. You can check out my Holiday Entertaining board here. 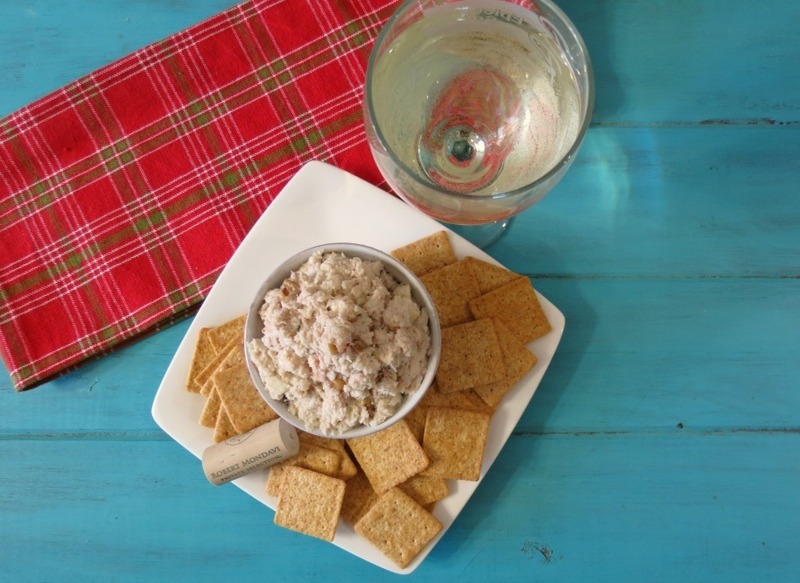 When I throw a holiday party, I like to make things that are simple, yet elegant, so today I created a very easy, takes only a few minutes Apple and Walnut Crab Dip. The dip is full of sweet and savory flavor. It’s made with crab meat, mayonnaise, lemon juice, Robert Mondavi Private Selection Sauvignon Blanc, apples, walnuts and cinnamon. It may sound like a strange combination, but trust me it is amazing. With the very first taste you get a wonderful crab flavor with just a hint of citrus from the lemon and Sauvignon Blanc. Then you finish off with a pinch a sweetness from the apples with an ending taste of cinnamon. The dip is delicious and would go wonderful on crackers or even on top of a small salad served with watercress. 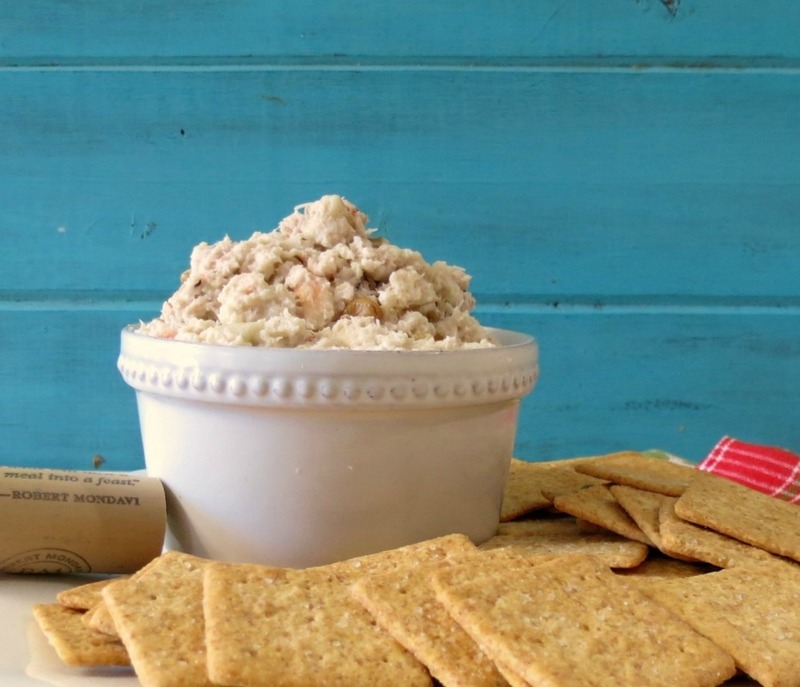 Crab dip is something I don’t make very often, which I don’t understand because crab is one of my all time favorite seafoods next to shrimp. 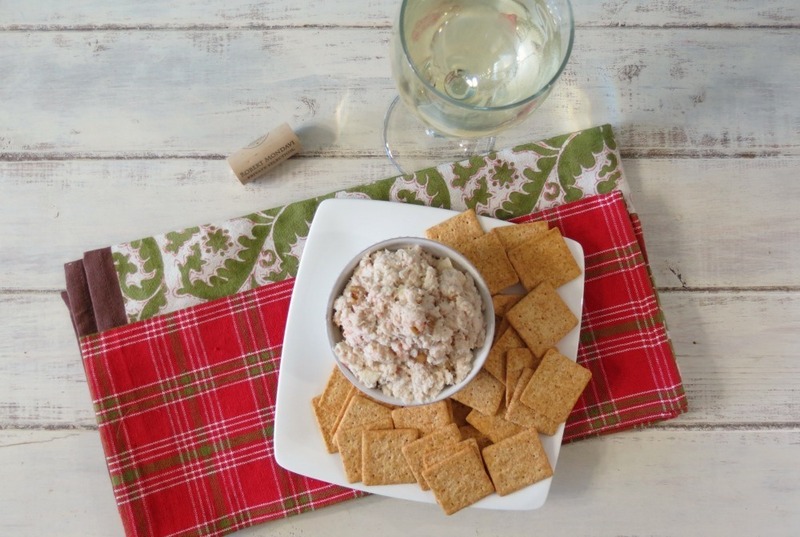 I used Robert Mondavi Private Selection Sauvignon Blanc wine to give my crab dip a little extra flavor which matched up perfectly. The wine is light, fresh, with a hint of citrus and pairs well with seafood or even a beautiful lemon and rosemary chicken dish. I love a light wine that is not dry and nor have an oak taste. 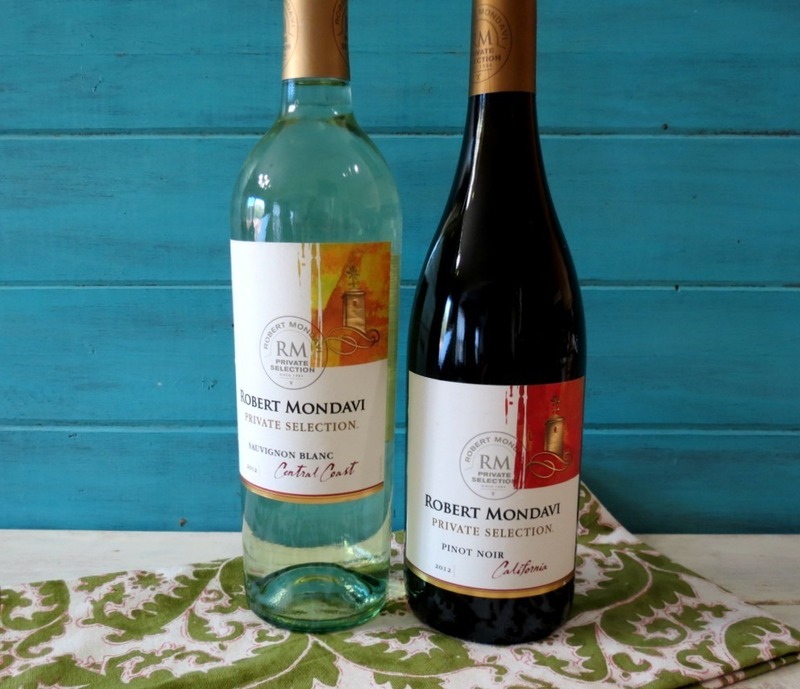 The 2011 Robert Mondavi Private Selection Sauvignon Blanc is 97% Sauvignon Blanc, 2% Chardonnay, and 1% Malvasia Bianca and is grown in Monterey County which is central California. I just love Central California. My Husband and I actually talked about moving there one day. It’s so beautiful. If you have never been there you really must go there for a visit. I made a little list of holiday do’s and don’t’s to make your party planning go more smoothly. Remember to enjoy the party! People come to your home to be with you, mingle, enjoy yourself after all this is your party too! 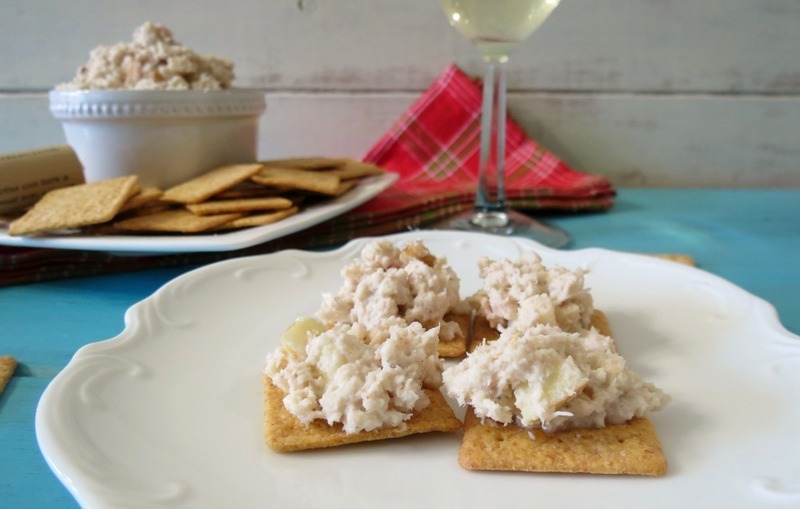 A light, sweet and savory dip made with crab, apples, walnuts, cinnamon and Sauvignon Blanc wine. In a bowl, add crab meat, Robert Mondavi Sauvignon Blanc, lemon juice and mayonnaise; mix well. Add sugar, cinnamon and black pepper; mix well. Fold in apples and walnuts. Chill until ready to serve. Serve on crackers or on top of a mixed greens salad. 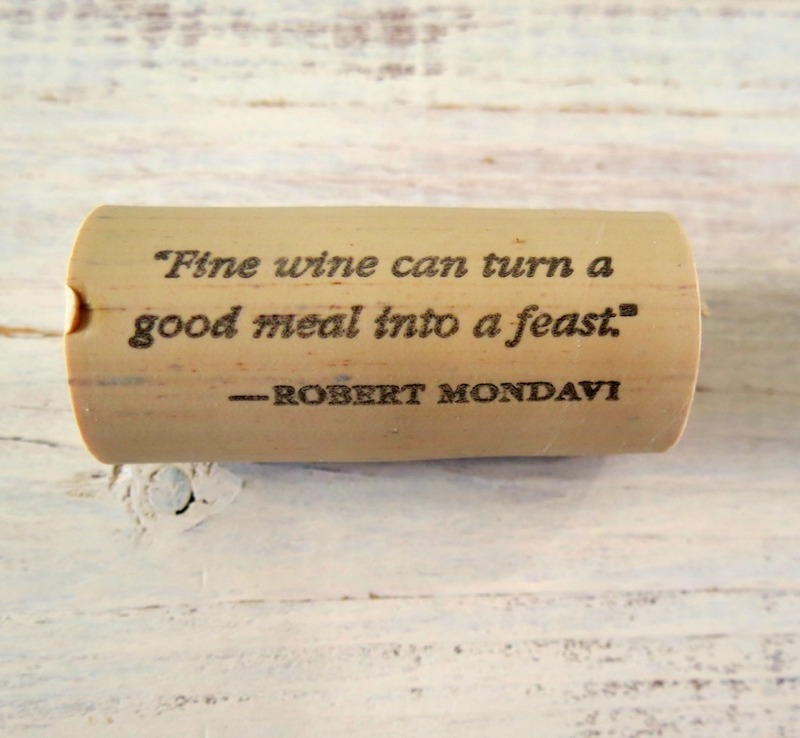 When I opened up my bottle of Robert Mondavi Private Selection Sauvignon Blanc I found the cutest little saying on the wine cork and I just had to share it with you, which I find very true. I had fun with today’s recipe and I just love cooking with wine. I think it really adds some pizzazz to a recipe, plus when I add it, it makes me feel like a chef! 🙂 Plus it’s always nice to have a nice glass while you are cooking. He he If you’re looking for some nice recipes to serve at your next party or for your own meal, you should check out Robert Mondavi’s website. They have some fun recipes like Tricked Out Ramen! Yup that’s Ramen noodles! Disclosure: Compensation was provided by Robert Mondavi Private Selection via Glam Media. The opinions expressed herein are those of the author and are not indicative of the opinions or positions of Robert Mondavi Private Selection. Thanks Marie!! I love cooking with wine, but I don’t nearly enough. Mmmmmmm I love crab and wine! 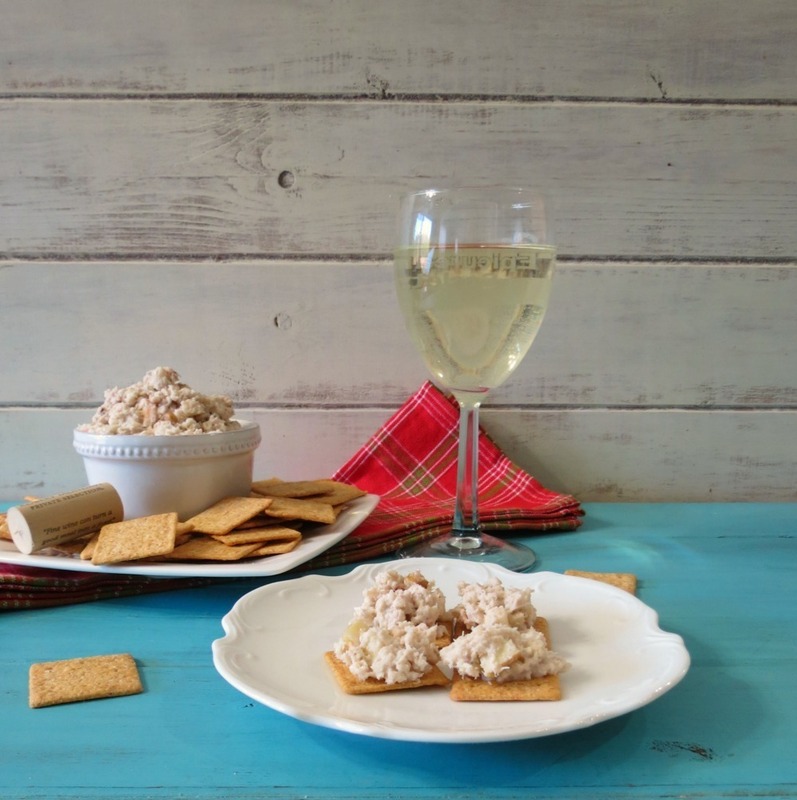 I love that you made a lovely dip with wine and I am sure it goes great with the crabmeat! Thanks Sophia! 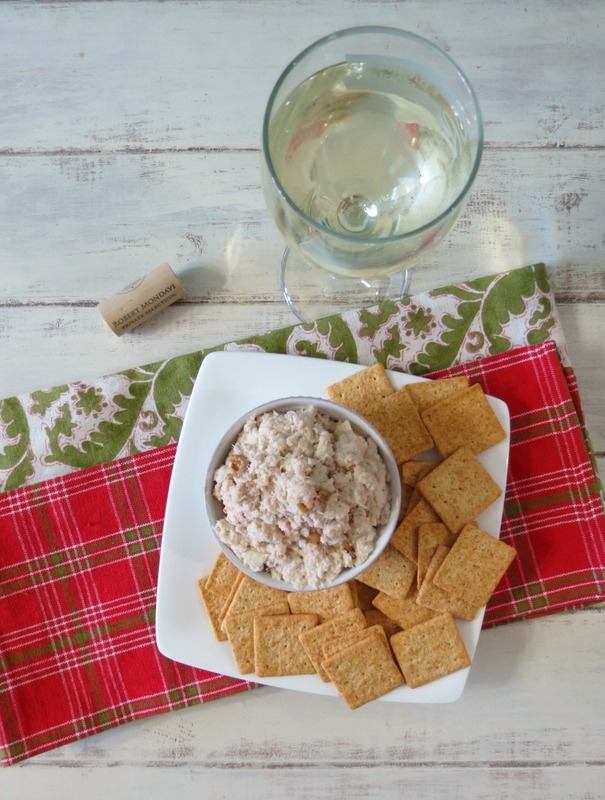 I love this wine and it makes a nice little pop of flavor in the crab dip. Sounds delish Jennifer! I’m like you, I don’t cook often with crab but I do love it when it’s done well. Lemon is so nice with crab and I love crunch of the apple and walnuts. Thank you Chris! I really enjoy the flavors going on in this dish! Great tips! I love that it’s crab season – this looks relish!